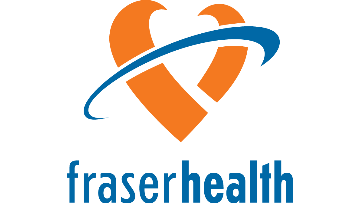 Fraser Health is one of Canada's largest and fastest growing health authorities. With over 26,000 employees, 2,900 physicians and nearly 8,000 volunteers, we serve more than 1.8 million people - over one third of the entire population in British Columbia. Twelve acute care hospitals, BC’s first dedicated outpatient care and surgery centre and a wide range of services in public health, home health, mental health and residential care facilities - all within Metro Vancouver and the Fraser Valley. Known as one of the most desirable places to live in the world, these dynamic communities along with inspiring scenery and easy access to an abundance of outdoor activities provide an amazing quality of life. Our goal is to find a visionary leader who will advance the utilization of technology and clinical information management to improve Fraser Health's growing culture. Bring your clinical and leadership expertise as a Chief Medical Information Officer (CMIO) to make an impact within medical leadership in supporting the utilization of technology to improve quality outcomes for patients across clinical operations, team based care within clinical operations and the interdisciplinary health care teams across Fraser Health, specifically providing medical staff leadership to roles such as Nurse Practitioners, Dentists, and Midwives. You will partner with the Chief Clinical Information Officer, Chief Nursing Officer and Executive Director, Health Informatics/Clinical Solutions to ensure strategies for systems implementation align with organizational objectives while clinical needs are translated into technology solutions that optimize care quality and patient safety. Coordinate the development and implementation of policy and practice standards and the related processes to successfully integrate evidence based clinical standards of care, documentation standards, and clinical order sets into clinical practice. Lead collaborative work to standardize best practice clinical alerts, clinical decision supports and patient safety surveillance within clinical information systems. Form collaborative relationships with internal and external partners such as Divisions of Family Practice, Primary Care, and Ministry of Health. Engage members of the interdisciplinary health care team and other key stakeholders, through effective change management leadership, to emphasize focus on clinical needs, maximize the adoption and usage of technology enabled solutions and related workflow processes, and advocate for adequate resources to support health professionals during system implementation. Participate and engage the medical staff to support the development of policy, practice standards, and related workflows/processes. Assign leads and delegate medical staff members for committees and working groups to support the advancement of technology. Eligibility for privileges and credentialing with Medical Affairs of Fraser Health. Ten (10) to fifteen (15) years recent, related clinical leadership experience in the health care sector including experience with electronic clinical systems, or an equivalent combination of education, training and experience. Broad knowledge of clinical practice and the roles of multidisciplinary health care team members within a patient and family centred care model. Ability to analyze complex clinical operations and structure processes to facilitate decision-making regarding clinical information needs. Ability to translate clinician requirements into clinician-useful information systems. Understanding and ability to apply latest research on best-evidenced practices related to clinical information systems. Knowledge of patient safety/quality management, performance management and accreditation standards. Ability to lead and move forward complex organizational change related to clinical workflow and process redesign that supports the adoption of technology enabled solutions. Ability to advocate for and champion best-evidenced practice in the use of technology in the clinical environment. A career that offers you the opportunity to work in a fast growing and exciting organization with professionals who are outstanding in their respective fields. Apply now and we can continue the conversation about you joining our team supporting our employees to provide the best possible care to the patients they serve. Please visit https://careers.fraserhealth.ca/search-jobs/posting-details/?posting=1182967E and apply online.